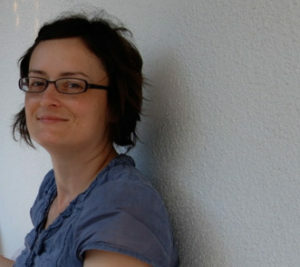 Bosnian born, Dragana Crnjak moved to the United States in 1997. She received her BFA in Painting from Myers School of Art at the University of Akron, Ohio in 2002 and her MFA in Painting and Printmaking from Virginia Commonwealth University in Richmond, Virginia in 2004. She is recipient of Virginia Museum of Fine Art Professional Fellowship in drawing and Individual Excellence Awards from Ohio Arts Council. Dragana Crnjak toys with viewers’ perceptions in wall drawings that somehow manage to create impossible illusions even as they seem only fleetingly present. Her fragmented images, drawn with charcoal directly on the wall, insist on the almost physical presence of the artist’s hand. She has surely and literally left her mark. Yet her images might well be in the process of arriving or leaving by teleporter, as fragmentary and unstable as they appear.